There’s nothing quite like biting into a sweet, tender peach picked at the height of ripeness. It’s a rare treat in a world where most grocery store produce ripens on a truck as it travels thousands of miles from the orchard to the chain store. 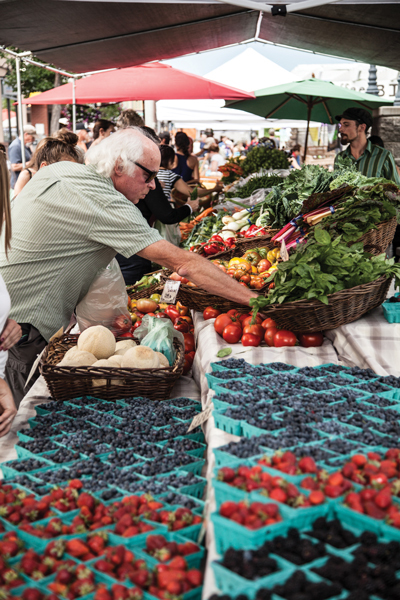 At the Bend Farmers’ Market, fresh, local, and organic are the rule, rather than the exception. Started in 1999 with just five local farmers, it has grown to more than 40 vendors in its 15th year. While produce comprises the bulk of the market’s offerings, the weekly summertime shop also offers meats, cheeses, and baked goods.